Orthodontist Mike Mew, BDS, MSc, did a presentation at Ancestral Health Symposium-2012 titled “Craniofacial Dystrophy—Modern Melting Faces.” Don’t let the title scare you off. He says 30% of folks in Western populations have crooked teeth and/or malocclusion, and the mainstream orthodontic community doesn’t know why. But they’ve got treatment for it! Dr. Mew thinks he knows the cause and he shared it at the AHS-2012. The simple cure is “Teeth together. Lips together. Tongue on the roof of your mouth.” And eat hard food. Ideally in childhood before age 9. Older people also benefit, he says. I have no idea whether Dr. Mew is right or not. I couldn’t get the video embedded here. You can see it at The Paleo Periodical. When I think about a Paleolithic approach to dental disease, the first expert that comes to mind is dentist John Sorrentino, D.D.S. The only other living “authority” that pops up is Stephan Guyenet, Ph.D., and he’s not even a dentist. 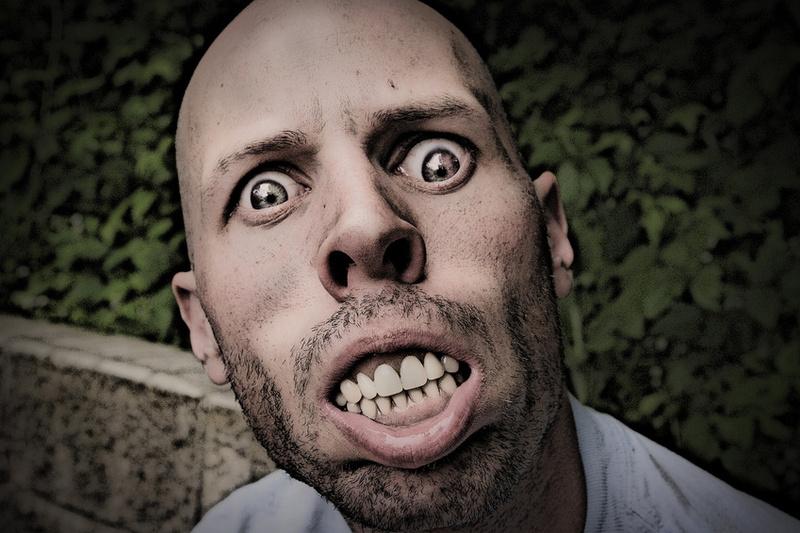 Stephan focused his literature review more on malocclusions than teeth per se, as I recall. Dr. Sorrentino cites dentist Weston A. Price as a ground-breaker, documenting the deterioration of dental health as traditional cultures moved to modern diets loaded with refined and concentrated sugars and starches. Fortunately for us, Dr. Sorrentino has blogged about the intersection of dentistry, evolution, and the paleo diet. Malocclusion and caries (cavities) weren’t problems for our Paleolithic ancestors, although “…they wore thru their enamel by the time they were middle aged.” Then what happened? Caries was just about non-existent because simple sugars and the refined carbohydrates that cause them were just not present in any Paleolithic diet. Since the Paleolithic covered such a vast period of time and many, many different populations it is important to remember that there is no one “Paleolithic Diet,” but rather a continuum or “envelope” of certain related types of foodstuffs that were consumed. These included but were not limited to fish, shellfish, leafy green plants, root vegetables, and fruit in season. It was interesting to note that there is decay in some lowland gorillas. It is present mostly as interproximal decay on the upper anterior teeth. It was speculated that sucking on fruit or raiding human garbage dumps, common in the area, caused this. In either case it shows that our closest living relatives are not very well adapted to eat sugar either. Are these healthy teeth a result of proper diet, dental self-care, dentistry, Photoshop, or a combination? I was perusing his website looking for reliable information on flossing and Water Pik-like devices and their proper roles in periodontal disease and caries prevention. I didn’t find much other than recommendations to eat a paleo diet, naturally low in concentrated sugars and refined starches, especially grains. …why do modern cultures have so many dental problems? Our ancestors had straight teeth, and their wisdom teeth came in without any problem. The same continues to be true of a few non-industrial cultures today, but it’s becoming rare. 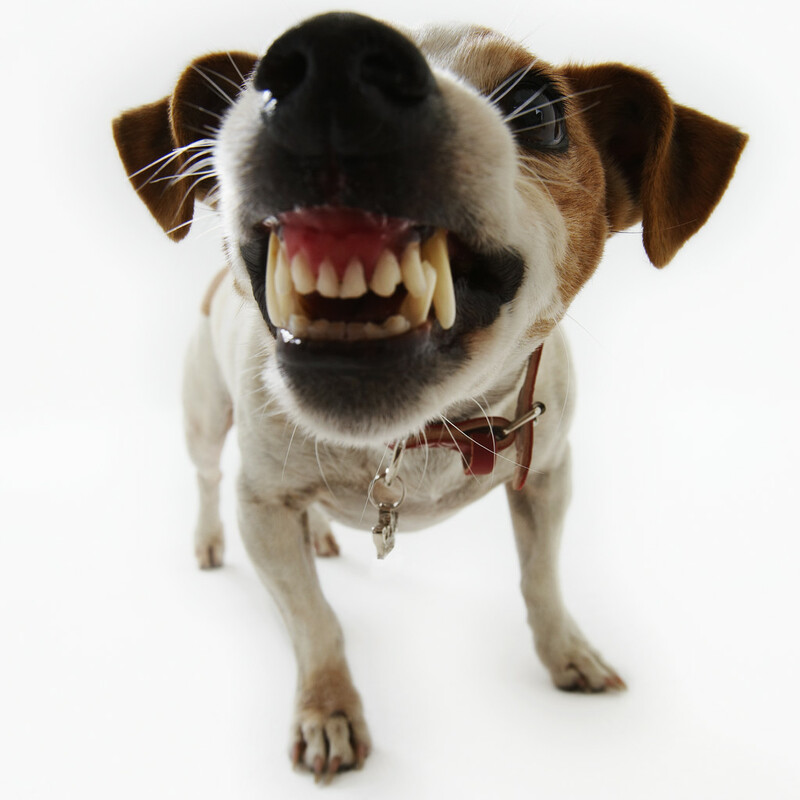 Wild animals also rarely suffer from orthodontic problems. Today, the majority of people in the US and other affluent nations have some type of malocclusion, whether it’s crooked teeth, overbite, open bite or a number of other possibilities. I rarely hear dentists or orthodontists talk about these ideas. Wonder why. 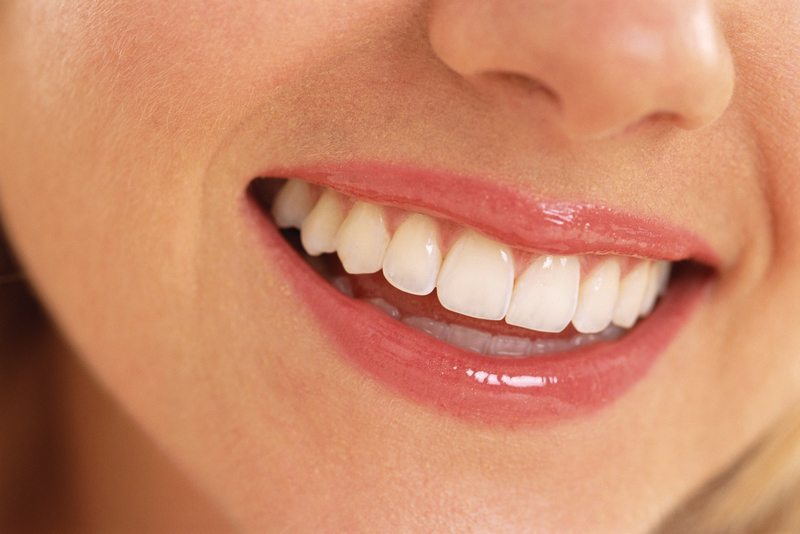 Does the Paleo Diet Affect Teeth and Gums? I got a little excited when I ran across this scientific article. My hopes were quickly deflated and I’ll tell you why shortly. In 2007, 10 study subjects did a Stone Age reenactment over the course of four weeks. It was covered extensively by Swiss TV. 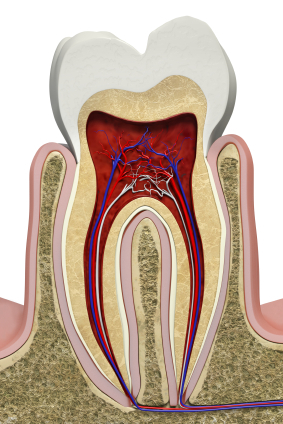 Dental plaque is a complex biofilm that accumulates on teeth and oral tissue. It’s influenced by diet and genetics. Plaque can lead to gingivitis (gum inflammation and disease). If untreated, gingivitis can lead to the more serious periodontitis with tooth loss. A couple human studies in the 1980s showed that a high-carbohydrate diet leads to gingivitis, compared to a low-carb diet. Dietary sucrose (table sugar) is linked to increased plaque and gingivitis. Some of you have already noted the source of my disappointment. The paleo diet most of us talk about today in the U.S. provides no wheat or milk, or at least very little. The anthropologists considered this set-up early Stone age, but wasn’t it more late Stone Age or Neolithic? Gum bleeding-on-probing and probing depth decreased (potentially healthy trends). Plaque index increased (more plaque, but they had no increase in severity of gingival inflammation). Gingival index (not defined in the paper) didn’t change. Bacteria growing on the teeth and gums changed, but I won’t bore you with the details. The investigators surmise that subjects avoided an increase in gingival inflammation due to table sugar restriction and intake of foods rich in anti-inflammatory and antibacterial components. The experimental gingivitis protocol is not applicable if the diet (e.g., Stone Age) does not include refined sugars. Although plaque levels increased, bleeding-on-probing and plaque index decreased. Subgingival bacterial counts increased for several species not linked to periodontitis whereas tongue bacterial samples decreased during the study period. I’m not aware of other paleo bloggers covering this study, and I can see why. It’s a small short-term experiment. The inclusion of grains and milk in the experimental protocol limits its applicability to the currently trendy paleo diet. While I mostly wasted a couple hours on this, I hope I saved you the effort. You’re welcome. In the comment section, feel free to share your dental effects when you switched to a paleo diet. Reference: Baumgartner, Stefan, et al. The impact of the Stone Age diet on gingival conditions in the absence of oral hygiene. Journal of Periodontology, 2009 (80): 759-768. Why Do Our Teeth Rot? The truth is that tooth decay is a relatively new phenomenon. Until the rise of agriculture roughly 10,000 years ago, THERE WAS NO TOOTH DECAY IN HUMANS. Let that sink in for a moment. Humanity is 2,500,000 years old. For the fist 2,490,000 years no one ever had a cavity. If we understand that tooth decay started when people started farming instead of hunting and gathering for a living clearly you realize that tooth decay is a disease or mismatch between what you are eating and what your body expects you to eat. If we examine the past as prologue it becomes clear that the path to proper health starts in the mouth and the answers are so simple that not only did a Cave Man do it. They perfected it.